Dal makhani is a treasured staple food from Punjabi’s Cuisine. This popular dish, which is available in every Indian restaurant, is rich in protein & tastes awesome and spicy. In this recipe, the black urad dal and red kidney bean is cooked on low heat in tomato puree and fresh cream. And I love the rich creamy texture and thick consistency. This dish combines ideal with chapati, roti, naan or rice. Enjoy this most characteristic signature dish of Punjab now..! 1. Clean and soak the black urad dal and rajma overnight. 2. Cook it with water and little salt in pressure cooker until it is soft. 3. Over cook it so that the dal is completely mashed. 4. Add 1 cup of curd and fresh cream and stir in medium flame for 5 minutes. 6. Add cumin and wait to splutter. 7. Add ginger garlic paste and sauté for a minute. 8. Add chopped onion and fry till transculent. 9. Add green chillies, tomato puree and fry till oil separates. 10. Add turmeric pwd, red chilly pwd, coriander pwd and salt. 11. Sauté for a minute. 12. Add dal mixture and combine well. 13. Cook on medium flame for 4 to 5 mins. 14. Remove from flame . 15. Add garam masala pwd and butter. 16. Mix and garnish with freshly chopped coriander leaves. Wow rich and creamy..looks so delicious, great for rotis. Lovely dhal makani.....I started making it recently using a friend's recipe....Yours also seem classic. yummy! The curry look so yummy and creamy. The dal looks so tempting and yummy !! Looks so rich and creamy yum! I love dal makhni. Looks delicious. Lovely Punjabi Dish! An excellent side for Roti! Yum Yum! 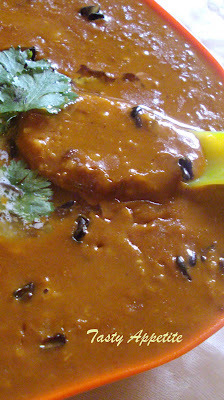 Dal Makhani looks awesome delicious. Has a 5 star restaraunt quality presentation! Looks yummy. You make the whole making process sound so easy. Thanks! I don't think I can go wrong using one of your recipes. This looks delicious! 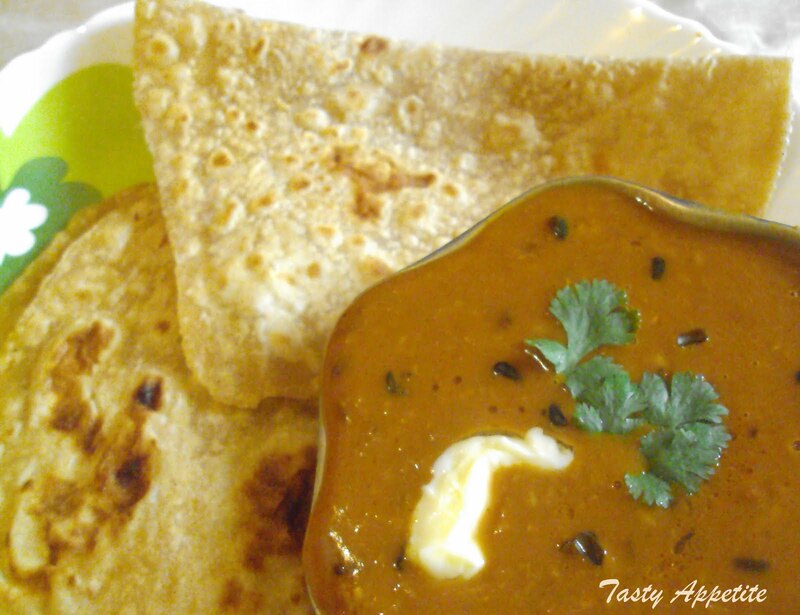 Dal Makhani looks wonderfully delicious and inviting. Excellent preparation. Dal makhani looks so wonderful and very inviting !! This thick and delicious daal makhani always makes me hungry. Yours look absolutely delicious. Wow..that looks really tempting ! 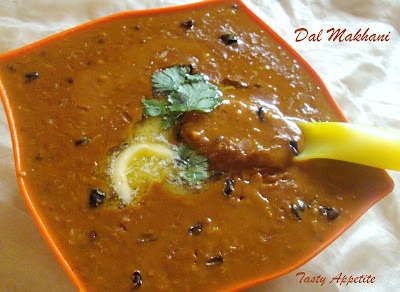 Simply comforting dal, makes me drool..
Love dal makhani..Yours look perfect and delicious.. The curry is so yummy and creamy. This dal makhani looks delicious.. This looks so yummy, creamy and delicious. Whenever we go out for dinner or lunch I order this. 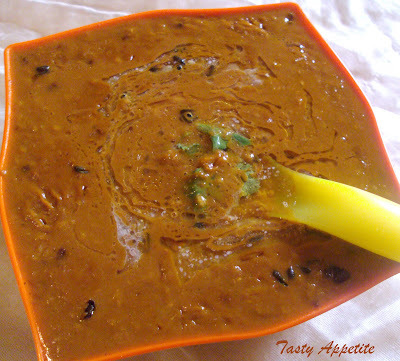 Dal makhani is one of my favorites...this one looks so delicious !! this is new to me nad looking at the ingrediemts, i'm sure this is a delicious dip as well! I don't cook much with black lentils, but I'll have to keep this recipe in mind the next time I see them at the market. Love the combination of seasonings and spices; reminds me a lot of the way I make chili!